This luxurious wallet is exclusively designed for the Van Gogh Museum. 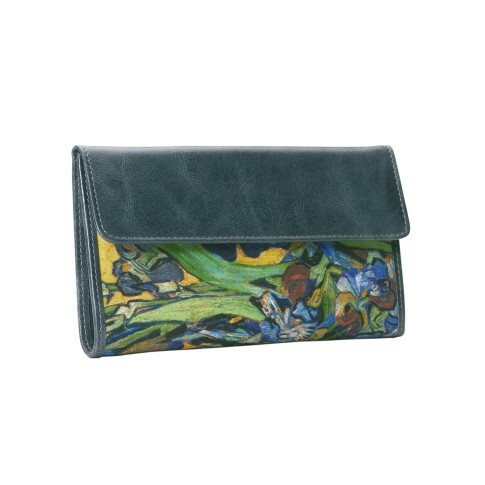 The exterior is covered with a high quality silk fabric printed with the intense colours of Van Gogh's Irises. Finished with leather details. On the inside the wallet has a pocket for notes, a pocket for coins and 6 cardholders.